The Student Innovation Idea Lab hosts several IP Boot Camp workshops each year to help both educate thinkers about the impact of their Intellectual Property throughout all the stages of their entrepreneurial timeline, but also to help students connect with industry professionals. The Intellectual Property (IP) Boot Camp was created with the purpose to provide those in attendance with knowledge about trademarks, patents, copyrights, internet law, disputes, resolutions and so much more! In a world where intellectual property has the possibility to often be questioned, this workshop provides answers to some of the most forgotten questions. Join us in an exploration to protect your most creative innovations! Nihat Deniz Bayramoglu is the head of the trademark practice group at Bayramoglu Law Offices LLC. Bayramoglu practices all forms of intellectual property law including all phases of the application process and litigation. 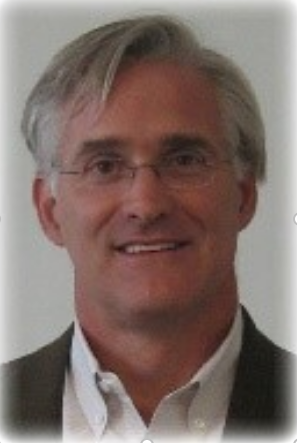 He has worked extensively in matters involving trademark disputes, trademark filings, patent litigation, and patent prosecution as well as helping businesses around the world protect their brands and ideas in the U.S. and globally in a wide array of fields and industries including consumer electronics, manufacturing, textile, agriculture, medicine, firearms, and consultancy. He has also negotiated and structured several U.S. case settlements for clients in their litigation cases. Bayramoglu has written and lectured on legal topics relating primarily to U.S. Intellectual Property law, particularly as it relates to 1) Small businesses and startups, and 2) International corporations seeking Intellectual Property protection in the United States. He is admitted to the bars of California, Nevada, The Ninth and Federal Circuits, and is admitted to practice before the United States Patent and Trademark Office. Christina S. Loza is the founder and managing partner at Loza & Loza LLP, an intellectual property law firm. She has a breadth of experience working for a large firm and as in-house intellectual property counsel. She has experience in all areas of intellectual property law including trademarks, patents, copyrights, trade secrets, domain name disputes, internet law, eBay dispute resolution, as well as IP licensing, counseling, and litigation. Tina is a board member of the National Association of Women Business Owners (NAWBO)-California and is a former President of NAWBO-CA and the NAWBO-IE Chapter. Additionally, she sits on the Board of Directors at the Los Angeles County Fair Association. As an adjunct professor at University of La Verne – School of Law, Tina teaches Intellectual Property Law and is the co-author of an Internet Law book published by Specialty Technical Publishers (STP) and Ad Infinitum. Tina received her J.D. at Loyola Law School and her Bachelor of Science in Biology from Loyola Marymount University. Tina and her husband Julio live in Pomona, California and have three energetic, creative boys – Jude, Jonah, and Lukas! Stephanie Pottick is a legal and business consultant who is passionate about helping entrepreneurs and companies take their brands and businesses to the next level. She is a licensed attorney who worked in the toy industry for over 14 years and has extensive experience with branding, licensing, merchandising, sales, marketing, safety, and manufacturing. Because of her unique background, Stephanie has the ability to understand business from a legal perspective and the law from a business perspective. Stephanie provides practical solutions and creative strategies for everyday business matters, and routinely works on business and licensing contracts, brand and intellectual property protection and general business consultation. Quyen (pronounced Quinn) Tu is committed to service. Her legal practice is focused on meeting the needs of entrepreneurs, helping them protect their businesses and make a positive impact on society. They rely on her counsel to guide their businesses in ways that leave them time and resources to contribute and make an impact. Quyen is a driven entrepreneur herself. Her primary commitment is her work with her clients, fueled by a passion to give back to others. She models the reality that you can create a business where your deepest passion of service propels you each day. Her own contributions to others include fundraising for cancer research, serving marginalized people, and environmental cleanup. One of her most meaningful experiences was volunteering with Habitat for Humanity in Nepal in 2014, working alongside 500 other volunteers from around the world to build 36 houses in a week. The schoolgirls in the photo remind Quyen of the importance of perseverance, open-hearted warmth, and connections across language barriers, and serving people in practical as well as intangible ways. In 2018, Quyen plans to join a Habitat Build in Jordan. She is honored to serve as General Counsel to YANA-Cancer Comfort, an organization providing care packages and prayers to people suffering from cancer. Quyen is a Board Member of the William P. Gray Inn of Court in Orange County and was appointed to the Young Litigator Taskforce for the American Bar Association’s Litigation Section. She has held leadership positions in local and national associations since she was a law student. Quyen is a mentor to past and current law students. Some of her past experience includes serving as a private prosecutor. In two and a half years, she tried hundreds of photo enforcement cases and argued the appeals from them as well. Quyen began her legal career as a staff attorney at the Public Law Center, a non-profit organization that provides access to justice for low-income residents. Working mainly in the Spanish and Vietnamese-speaking communities, Quyen represented people who were screwed by car dealers, had collectors harassing them, or were victims of mortgage fraud. She formed strategic partnerships with community-based organizations, professional associations, elected officials and media outlets to increase access to justice for her clients. Quyen earned her B.A. at the University of California, San Diego and her J.D. at the University of the Pacific, McGeorge School of Law in Sacramento. She has also studied in Spain and China. When Quyen is not working, you can find her running, biking, swimming, and learning new yoga poses. Bruce Lathrop is a business law and patent attorney with the law firm of Lubka & White LLP in Monrovia, California, representing entrepreneurs and established companies in intellectual property, corporate law, public and commercial contracts, and dispute resolution. Mr. Lathrop has represented clients in patent and trademark prosecution; technology licensing; Small Business Innovation Research (SBIR) procurements; technology business asset sales; and contract matters. Such representations typically involve understanding complex issues involving computer hardware and software, geographic information systems software, biomedical technology, e-commerce, and system design, development, and testing. Mr. Lathrop is also a member and past board member of the Pasadena Angels, a group of individual angel investors in Pasadena; and a Vice-Chair of the Intellectual Property and State & Local Procurement Committees of the American Bar Association Section of Public Contract Law. Mr. Lathrop previously was associated with the Los Angeles office of Seyfarth Shaw LLP, representing environmental and aerospace and defense companies. He also served eight years as in-house counsel to Esri, a multinational GIS software and services company in Redlands, California. Prior to law school, Mr. Lathrop was an avionics engineer at McDonnell Douglas in Long Beach. Mr. Lathrop received his law degree from the University of Southern California and his engineering degree from the University of California, Los Angeles, where his upper division coursework focused on biomedical engineering, ergonomics, user interface design, and man-machine systems.